The aim of this lecture is to presentation on Head Injuries. 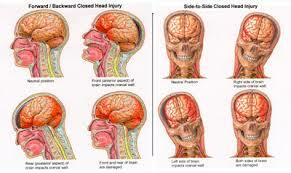 Any injury that ends up with trauma to the skull, or brain might be classified as a head injury. The terms upsetting brain injury along with head injury can be used interchangeably throughout medical literature. This broad classification involves neuronal injuries, hemorrhages, vascular accidental injuries, cranial nerve accidental injuries, and subdural hygromas, among a good many others. This lecture briefly describe some common Head Injuries: Scalp lacerations, Skull fractures and Brain injuries. Finally discus complications of head injuries.